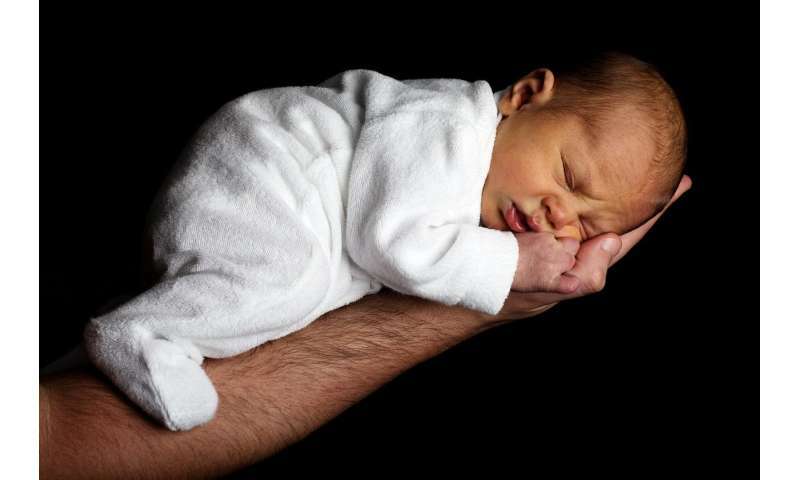 The study, which examined associations between a mother's level of education, prenatal depression, method of delivery and her infant's sleep duration, was published this month in Sleep Medicine. It found that infants born to mothers without a university degree slept an average of 13.94 hours per day—23 minutes less than infants born to mothers with a university degree, and just short of the National Sleep Foundation guidelines of an average of 14-17 hours of sleep per day at three months of age. The researchers analyzed data from 619 infants and their mothers participating in AllerGen's CHILD Cohort Study—a national birth cohort study collecting a wide range of health, lifestyle, genetic and environmental exposure information from nearly 3,500 children and their families from pregnancy to adolescence. "While we are still at an early stage of unravelling the underlying biologic mechanisms, our study suggests that prenatal depression and birth mode are potential targets for health-care professionals and policy makers to improve infant sleep duration. Mothers who experience prenatal depression or an emergency cesarean delivery may benefit from support so that infant sleep problems do not persist into childhood."